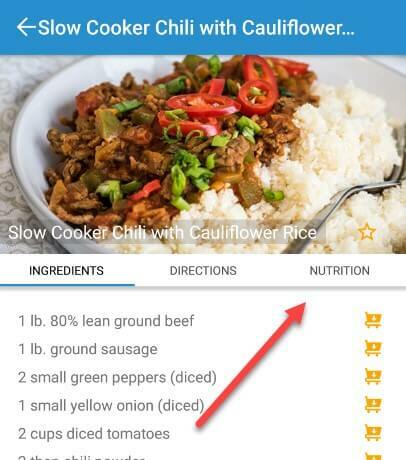 How do I view a recipe’s nutritional information? Here you’ll see the number of servings the recipe makes and the calories and macronutrients per serving. 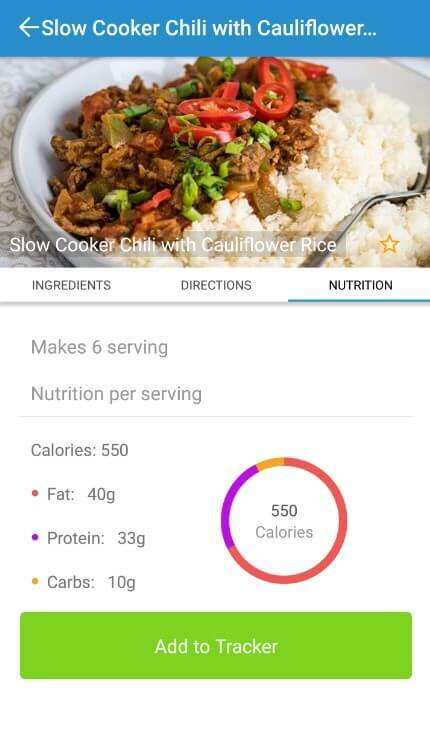 You can also add the recipe to your tracker! Like	35	Dislike	4	35 of 39 found this article helpful. How do I know how many calories to eat? Is Total Keto Diet available on computer? How do I enter my own food or recipe? How do I remove or delete a food entry? How do I add a recipe to my favorites? 2018 © - Total Keto Diet - by Tasteaholics, Inc..